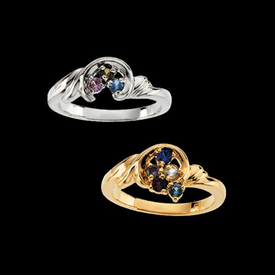 Gold Mothers Ring. 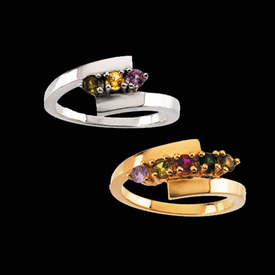 Beautiful 14k Yellow or White gold Mothers ring. 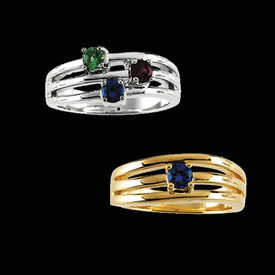 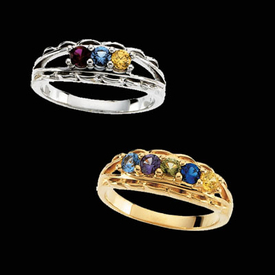 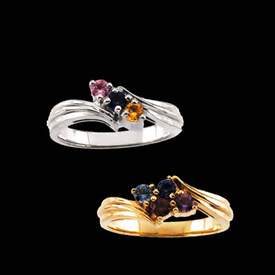 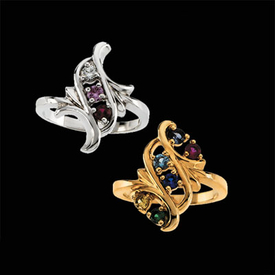 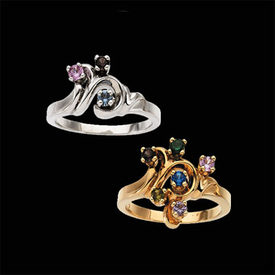 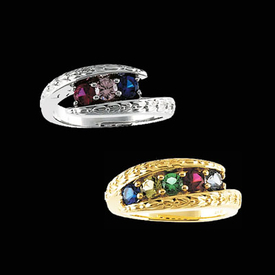 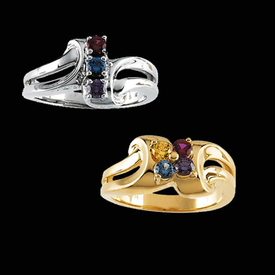 This delightful ring will hold 1-7 genuine or synthetic gemstones. 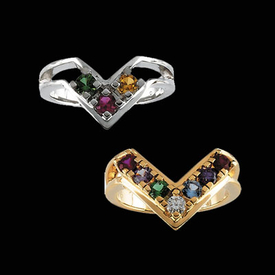 Each gem measures 2.